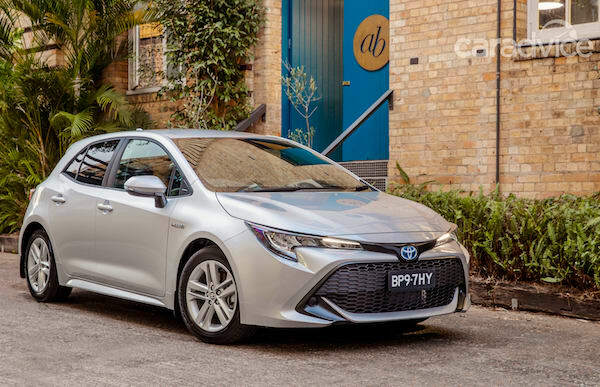 Solely thanks to rentals, the Toyota Corolla is #1 in New Zealand in September. New vehicle sales in New Zealand drop 4% year-on-year in September to 13.910 units, yet the year-to-date tally remains at record levels at +1% to 119.412 sales. The Top 2 best-selling brands are hit hard this month with Toyota (-15%) and Ford (-12%) both posting double-digit losses while Mazda (-6%) and Holden (-34%) also disappoint but Mitsubishi (+19%) jumps up to #3 overall. Haval (+600%), Volvo (+106%), Tesla (+89%), Honda (+66%), Jeep (+61%), Porsche (+55%), Renault (+29%), Lexus (+23%), Ssangyong (+23%), LDV (+21%), Skoda (+20%), Volkswagen (+16%) and Subaru (+11%) are among the most dynamic further down. Preparation for the touristic summer season means rental sales are starting to weigh in quite significantly in the models ranking. The Toyota Corolla (-9%) snaps its first monthly win since last January thanks to a 74% rental ration at 643 sales, edging up to #3 YTD in the process with the Ford Ranger (+3%), Toyota Hilux (-16%) and Mitsubishi Triton (+21%) closing out the Top 4. The Toyota RAV4 (-29%) is up 15 spots on August to #15 despite a hefty loss but thanks to a 50% rental ration and is up to #6 YTD, with the Mitsubishi ASX (+34%) benefitting from a 42% rental ratio at #7 and the Nissan X-Trail (+35%) at 48% rentals at #15. Full September 2018 Top 67 All-brands and Top 30 models below.